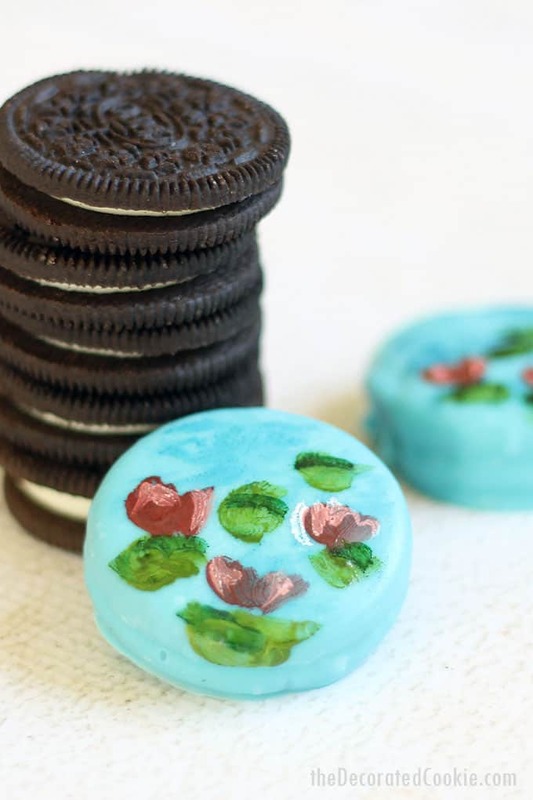 PAINTED OREOS: Monet's lilies painted on chocolate-covered oreos. 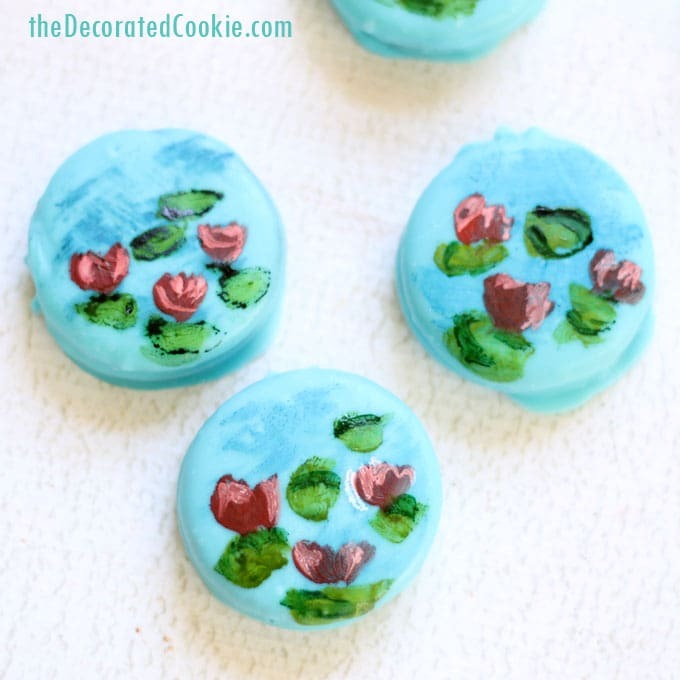 Chocolate-covered Oreos with hand-painted Monet’s water lilies using food coloring. I can’t say this is an exact likeness, exactly, but I will blame the limitations of my medium. Also, ahem, lacking Monet’s, you know, artistic skill. 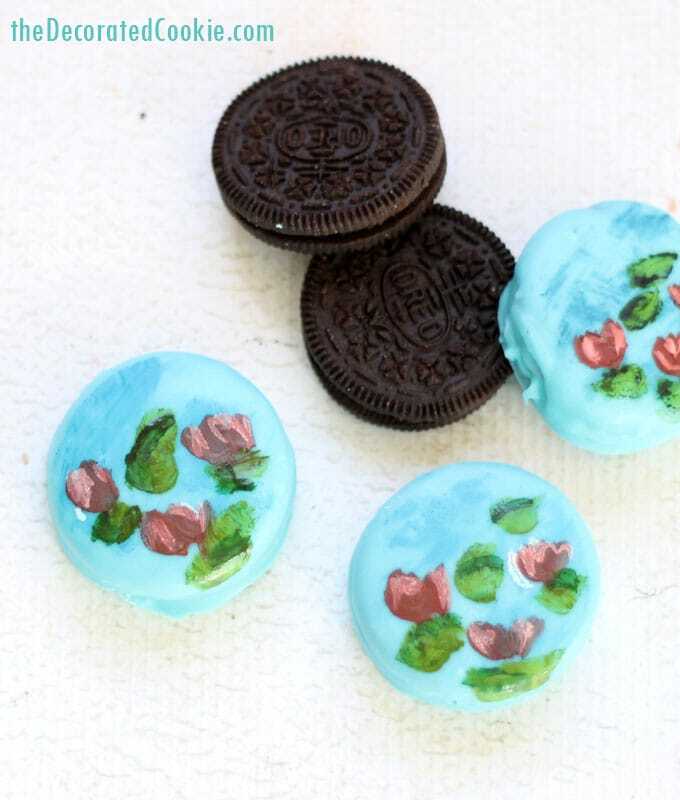 But I am really digging this whole coating-Oreos-in-candy-melts-and-painting-on-them thing. It’s easy and you can paint whatever you want. 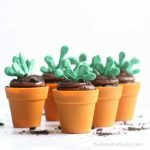 You can use regular gel paste food coloring, however, keep in mind that the water-based food coloring can resist the candy coating. 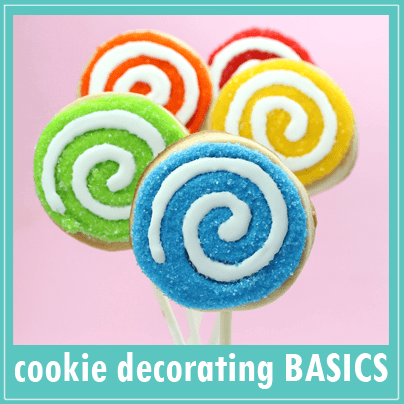 For best results you should use Candy Colors (special oil-based food coloring for exactly this use). Or, to save yourself from buying all new food colorings, just add a drop of the Oil Candy Color FLO-COAT to your soft gel pastes. 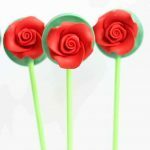 That turns regular food coloring into candy colors. And it really works. 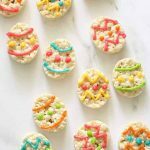 I did a few Oreos without it and a few with, and it makes a difference. 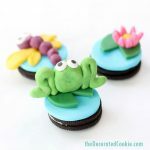 Here is a video how-to for the Oreos. 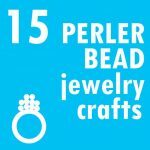 *See below for links to the supplies I used. For food coloring, I suggest Americolor Soft Gel Pastes (Royal Blue, Bright White, Red Red, Electric Green and Leaf Green used here). 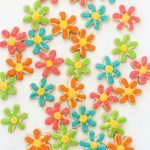 Find candy melts at the craft store. 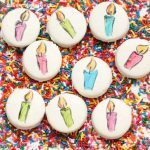 Find the food coloring and candy color medium online. Pour candy melts in a microwave safe bowl. Microwave at 70 percent power for 90 seconds. 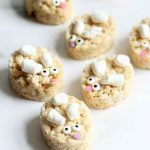 Mix well and continue to microwave at 30 second, then 15 second intervals until just before the candy melts fully melt. Stir super well. Line a baking tray with wax paper. Turn an Oreo over in the melted candy. 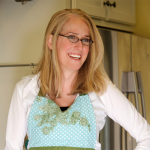 Lift with a fork and tap the fork against the side of the bowl. Place the Oreo on the baking tray. Let the Oreos dry well, about an hour. 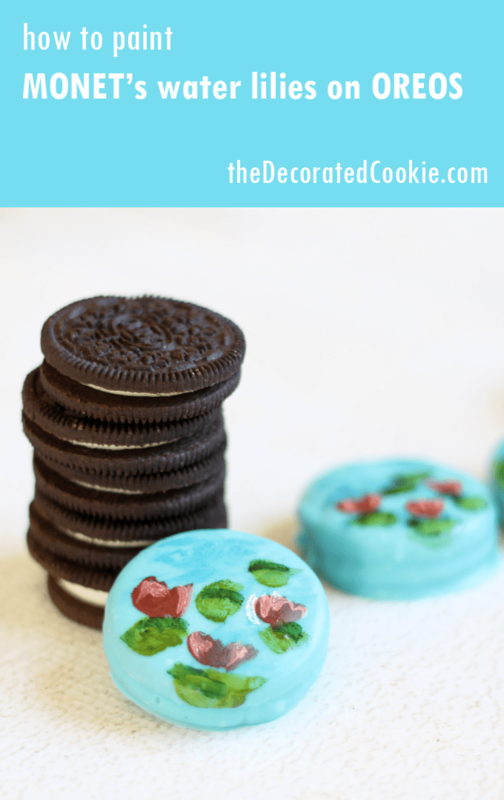 To paint the Oreos, place a few drops of each color food coloring on a piece of wax paper or paper plate. 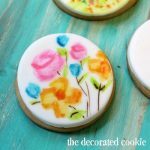 Add a drop of the medium to each and stir using the back of a paint brush. First, I mixed a bit of white with some blue and smudge the mixture on the cookie. I smeared it with a paper towel. Then, I mixed just a bit of white with the red and painted the flowers. I painted some circles of the lighter green, mixed with a bit of white, for the lily pads. With a liner brush, I used the dark green for accents on the lily pads and white for accents on the flowers. Let the cookies dry totally. A package of candy melts should cover about 12 Oreos.